We welcome membership enquiries from all categories of player, from the beginner to the experienced golfer. There are special packages available if you are new to golf which take the form of "Academies" and "Adult Pathways", which provide guidance and lessons from the club professional and members of the club. Conventional membership (Full and Weekday) for players new to the area or taking up the game again after a break is also available. Membership fees are detailed on this website and our General Manager, Simon Burton, will be pleased to discuss the various membership options and meet with you to show you around. 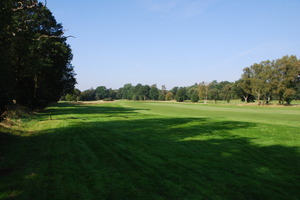 Blackmoor is a friendly, welcoming club which avoids the formalities traditionally associated with premier golf clubs. Call us on 01420 472775.